The last time we attended NYC’s famous Goth music revue, Incantation, we arrived too late to hear the BlkVampires, who were just breaking down after their performance. Something special about them struck us. It may have been the gruesome costumes of the band members or possibly their stunning female entourage who helped them collect themselves after the show. Most likely, though, our fascination sprung from the fact that they were the first and only all-black Goth band we had ever come across. 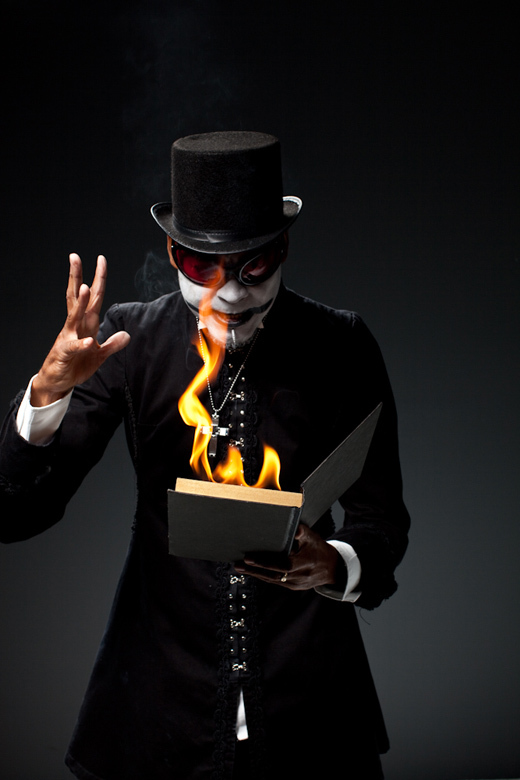 The fusion of black musical styles with gothic-industrial seemed to hold great potential. 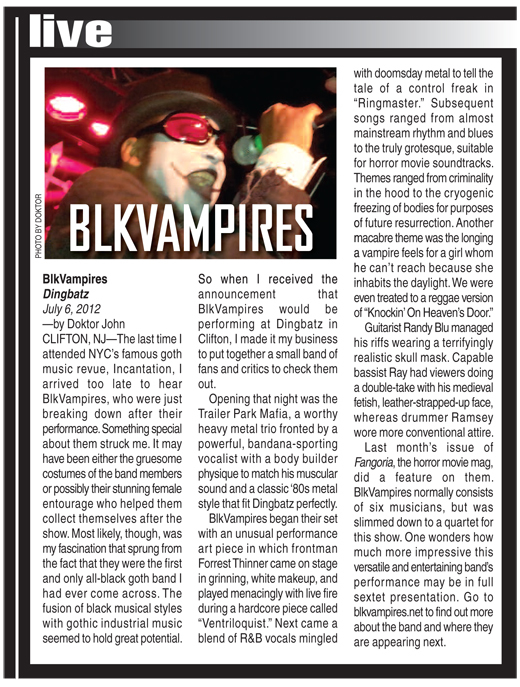 So when we received the announcement that BlkVampires would be performing at Dingbatz in Clifton, we made it our business to put together a small band of fans and critics to check them out. Opening that night was the Trailer Park Mafia, a worthy heavy metal trio fronted by a powerful, bandana-sporting vocalist with a body-builder physique to match his muscular sound and a classic 80s metal style that fit Dingbatz perfectly. 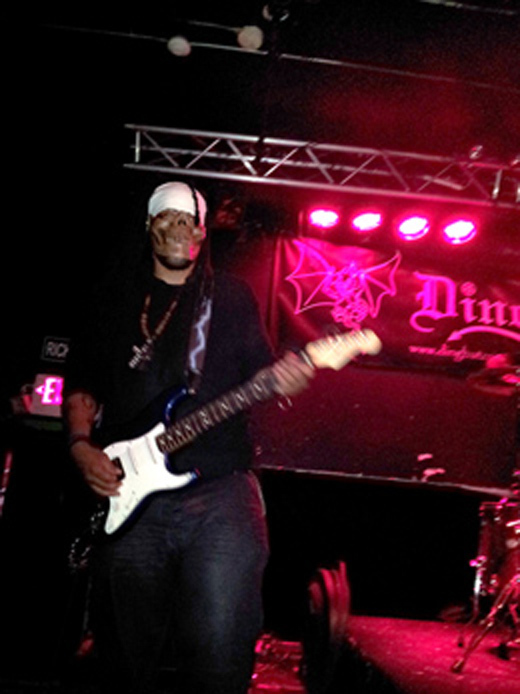 Guitarist Randy Blu managed his riffs wearing a terrifyingly realistic skull mask. 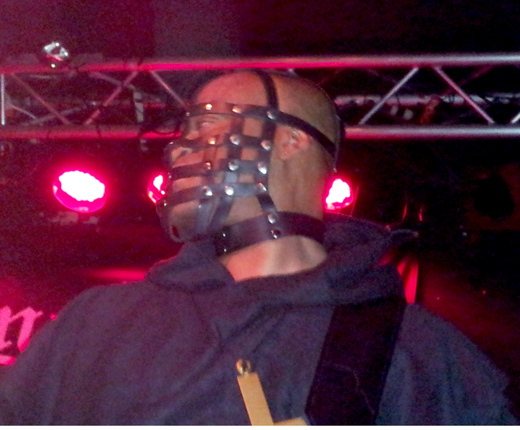 Capable bassist Ray had viewers doing a double take with his medieval-fetish, leather-strapped-up face, whereas drummer Ramsey wore more conventional attire. Last monthâ€™s issue of Fangoria, the horror movie mag, did a feature on them. 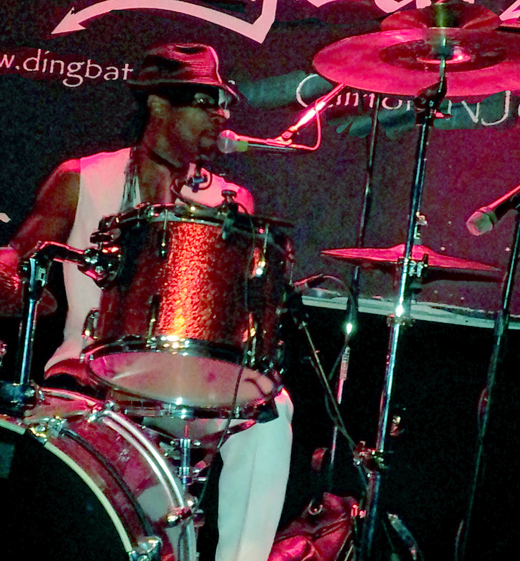 BlkVampires normally consists of six musicians, but was pared down to a quartet for this show. One wonders how much more impressive this versatile and entertaining bandâ€™s performance may be in full sextet presentation. Go to blkVampires.net to find out more about the band and where they are appearing next.